Looking for a translator? Choose our NAATI certified Hobart translation services today and find out why OPAL Translation is the leading Hobart translation services provider in Australia. Our translation serivice is 100% NAATI certified and available in all languages. How great is that? Being one of Australia’s major exporter, Hobart is a busy seaport where a lot of people from Tasmania are directly and indirectly involved in the international trade. Hobart has turned into a powerhouse in certain industries. Here, many businesses require Hobart translation services for effective communication and help build a good relationship, and trust with their customers. Whether you need an engineering, financial, marketing, medical, business, legal, migration or personal document translations, our team of highly skilled translators are experienced in the different fields. You’ll be confident that your translation is 100% high quality with our NAATI certified Hobart translators. Provide us with a scan or photo of your documents via our enquiry form, and we will email you a quote within 15 minutes ABSOLUTELY FREE! Documents for business, legal and personal transactions are essential. We provide Hobart translation services with a quick turnaround time with the lowest translation rates. We helped our individual clients in their immigration, visa and job applications, and academic purposes by providing NAATI certified translations required by the majority of Australian authorities. Here are the most common document translations that we have received. Get a free quote today. Simply complete our enquiry form, and we will get back to you within 15 minutes. Do you support fast Hobart translation services? Yes, we do. Contact us via our 24/7 chat support or our enquiry form and let us know your deadline. We will be happy to assist you. Don’t forget to attach a copy of your document and we will send you an exact quote for our Hobart translation services within 15 minutes. 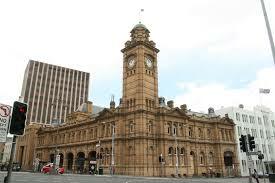 Hobart is the capital of Tasmania. It sits on the coast of Australia by the River Derwent. Wellington, a 1,270m high mountain, is the city’s backdrop and offers stunning views to cyclists and hikers. In the 20th century, there are cases of snowfall in the city which is at sea level on average that happens only every 15 years. The city took its name from Robert Hobart who is the British Secretary State of War and the Colonies during its settlement time in 1804. 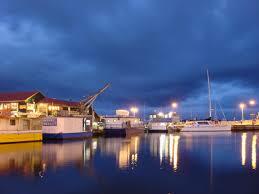 Hobart is the second oldest Australian city, just after Sydney in New South Wales. Prices vary depending on the document’s language, schedule and availability of translator. You will need to send us a scan or photo of your document for us to send you an exact quote via email. Pricing below are for indicative purposes only.